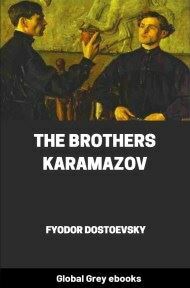 Publication Date: 1866, this is a translation by C. J. Hogarth. 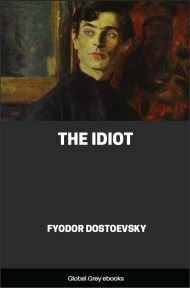 The Gambler is a short novel by Fyodor Dostoevsky about a young tutor in the employment of a formerly wealthy Russian general. 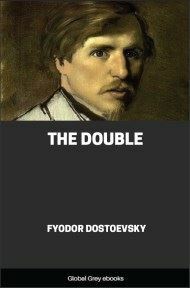 The novella reflects Dostoevsky's own addiction to roulette, which was in more ways than one the inspiration for the book: Dostoevsky completed the novella under a strict deadline to pay off gambling debts. I knew that “Monsieur le Comte” would take no notice of me when we met at dinner, as also that the General would not dream of introducing us, nor of recommending me to the “Comte.” However, the latter had lived awhile in Russia, and knew that the person referred to as an “uchitel” is never looked upon as a bird of fine feather. Of course, strictly speaking, he knew me; but I was an uninvited guest at the luncheon — the General had forgotten to arrange otherwise, or I should have been dispatched to dine at the table d’hote. Nevertheless, I presented myself in such guise that the General looked at me with a touch of approval; and, though the good Maria Philipovna was for showing me my place, the fact of my having previously met the Englishman, Mr. Astley, saved me, and thenceforward I figured as one of the company. This strange Englishman I had met first in Prussia, where we had happened to sit vis-a-vis in a railway train in which I was travelling to overtake our party; while, later, I had run across him in France, and again in Switzerland — twice within the space of two weeks! 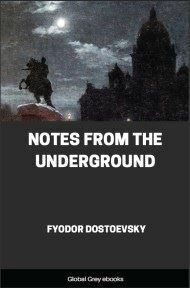 To think, therefore, that I should suddenly encounter him again here, in Roulettenberg! Never in my life had I known a more retiring man, for he was shy to the pitch of imbecility, yet well aware of the fact (for he was no fool). 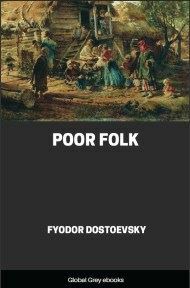 At the same time, he was a gentle, amiable sort of an individual, and, even on our first encounter in Prussia I had contrived to draw him out, and he had told me that he had just been to the North Cape, and was now anxious to visit the fair at Nizhni Novgorod. How he had come to make the General’s acquaintance I do not know, but, apparently, he was much struck with Polina. Also, he was delighted that I should sit next him at table, for he appeared to look upon me as his bosom friend.